Morning Peeps, Patricia here with another creation for the Dies R Us Inspiration blog! The Dies R Us on-line store carries a huge assortment of amazing dies by several manufacturers from around USA, so must check it out! 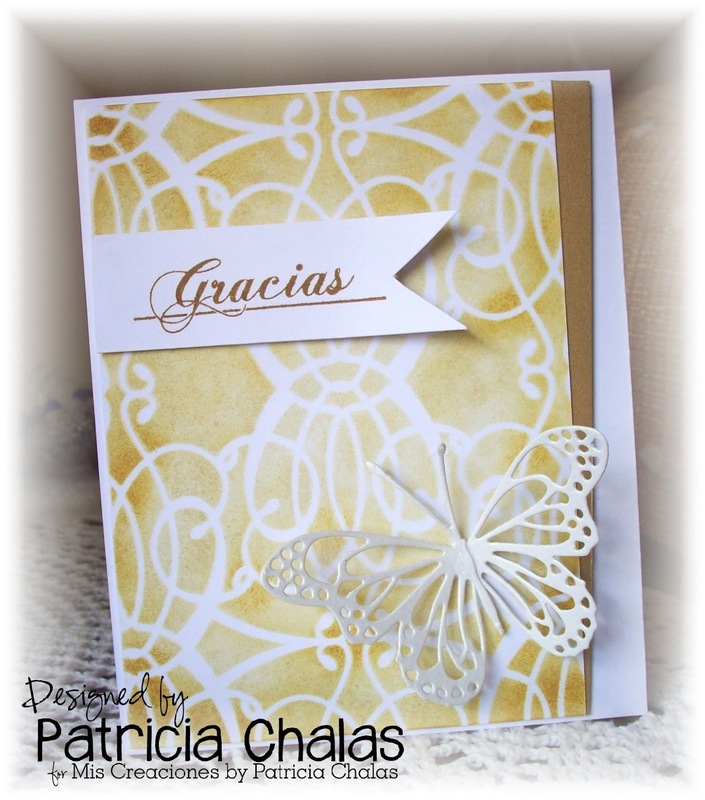 I made this lovely and sweet Thank you "Gracias" card with a friend on mind. She loves this color combination and wanted to Thanked her for her friendship and so this card came to life. Check back daily for more great inspiration from the girls on the design team. don't forget we have a Dies R Us Challenge Blog too! offered to the lucky winner of each challenge. Patricia, this is so elegant and beautiful! The stenciled background and lacy butterfly are perfect together!! I agree, that butterfly die is lovely. I don't think I've seen it before. Calming color for the background too. very pretty detail on the butterfly, your friend will love it!! What a beautiful card Patricia. Very elegant. Love the butterfly die. such a pretty card! love the butterfly against the soft yellow! Pretty Pink Posies for your birthday! Wishing you a Special 2017!